In a nutshell, fracking is the popular term for “hydraulic fracturing,” a process of drilling for gas and oil by blasting a high-pressure watery mixture into a specific type of underground sedimentary rock, called shale. When the liquid blast cracks shale, natural gas and petroleum are released. The technique has skyrocketed in use over the past half-century. Once limited to scattered hard-rock formations throughout the western United States, fracking is being used more often around the world. Many environmentalists argue that the spread of fracking should be feared, and there’s strong evidence in their favor: The technique requires immense amounts of water and land, releases methane and other harmful gases that contribute to climate change, and occasionally sets off small earthquakes. But energy is never a simple subject. And for all fracking’s apparent dangers, it also has numerous benefits: It provides access to difficult-to-reach oil fuel sources, and produces cheaper natural gas that is cleaner to burn than coal. Some advocates of fracking argue that the technique, when compared to all the other ways to produce energy, is, on balance, environmentally beneficial. But that claim, like so much else, poses more questions. How do we balance the advantages and risks of fracking? Would we be safer banning it, as jurisdictions all over the world have done? Or can we manage and regulate it effectively, and rely upon the gas and oil it produces until a cleaner-energy future arrives? In advance of the September 22 Zócalo/UCLA event “Is Fracking Good for California?,” we asked a variety of experts on the technique: Could fracking ever be good for the environment? Nearly every discussion of energy and environment neglects a fundamental truth: Energy is primarily an agent of environmental improvement, not environmental degradation. For example, nature does not give us a world full of clean, accessible drinking water that we sully. Nature gives us a world of largely unclean, difficult-to-access water that we purify and transport using abundant energy—if we have abundant energy. If we care about environmental quality, we must look at not only the environmental risks of any form of energy but the environmental benefits it provides. And here we encounter a crucial moral and environmental truth: The only industry today that is capable of providing abundant, affordable, reliable energy on a global scale is the hydrocarbon industry, a.k.a. the fossil fuel industry. If we look at the relationship between hydrocarbon use and environmental quality, we find an amazingly positive relationship, whether with air quality, water quality, disease rates, or even climate-related deaths—which occur at a 50 times lower rate than they did before significant CO2 emissions began 80 years ago. We should welcome and encourage other industries to outcompete hydrocarbons, but if we restrict hydrocarbon use we will create a worse economy and a worse environment for human beings to live in. Fracking is one particularly valuable technology for extracting oil and gas from massive quantities of previously useless shale rocks. It poses no new threat to groundwater; because the shale rocks involved naturally exist thousands of feet away from the water table, fracking is actually one of the least threatening technologies to groundwater. Our cultural obsession with “fracking” is the result of opponents and the media capitalizing on an unfamiliar term. The safety of the core technology is quite familiar, having been tested (and improved) for many decades. The real economic and environmental danger we face is not fracking. Alex Epstein is the founder and president of Center for Industrial Progress, and author of The Moral Case for Fossil Fuels. The main environmental benefit attributed to fracking is the increased production of natural gas, which can be substituted for coal in electrical power generation, with half the carbon dioxide emissions at the point of combustion. But CO2 is not the only greenhouse gas emitted in the process. Natural gas is mostly composed of methane, which is itself a powerful greenhouse gas—up to 100 times as powerful as CO2 over short time spans. Recent research suggests that methane leakage from shale gas fracking sites obliterates any climate advantage from the use of fracked natural gas in favor of coal. In all other respects, fracking is clearly an environmental disaster. Air and water quality are impacted. Human and livestock health close to fracking sites take a hit. And fracking has resulted in a big increase in U.S. oil and natural gas production at a time when society needs to reduce its consumption of these fuels in order to avert catastrophic climate change. Further, because shale gas and tight oil resources are inherently associated with low-permeability rocks, the use of hydrofracturing and horizontal drilling results in wells that show rapidly declining production. In order to keep the oil and gas flowing, companies have to keep drilling, which multiplies environmental risks. 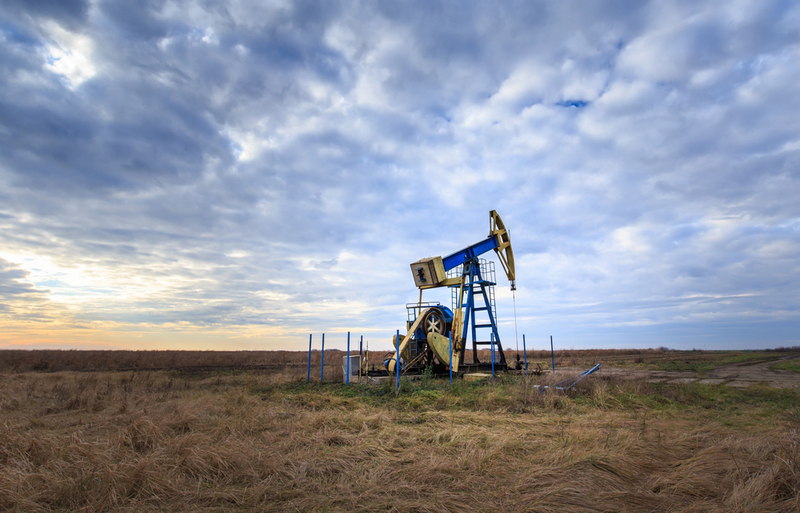 We accept these substantial and growing risks for the sake of fuel resources whose short-term boom will soon lead to a bust entailing falling production and lost jobs—along with tens of thousands of wells that no one can afford to properly plug and monitor. No, fracking is never good for the environment. Richard Heinberg is Senior Fellow of Post Carbon Institute and author of Snake Oil: Why Fracking’s False Promise of Plenty Imperils Our Future. Fracking is unquestionably good for the environment, whether we are discussing fracking for natural gas or, as in California, oil. The reality is that tens of millions of automobiles being driven in California need fuel for the foreseeable future. And while all of the oil produced in California stays in California, the state must import the majority of its oil by tanker or rail from countries with regulations laxer than those required by California law. Why pollute more and give jobs to Venezuela when we can pollute less and employ Californians by producing oil here under the strictest regulations in the country (including regulations on fracking)? From 2000 to 2012, as we used more hydrocarbons produced via fracking, per-capita emissions in California decreased by 12 percent—even as our population grew 11.4 percent. And our use of natural gas to run power plants has produced similar results. According to the Air Resources Board, emissions from in-state electricity generation declined by 22 percent in that same time period. Dave Quast is California Director of Energy In Depth, a research and education program of the Independent Petroleum Association of America and the California Independent Petroleum Association. *An earlier version incorrectly implied that methane was released in the combustion of natural gas. Methane is released from the production and distribution of natural gas. *Photo courtesy of Calin Tatu. Economics, environment, fracking, Thinking L.A.